Interconnect 1000 delivers an unmatched combination of robust performance and affordability in the crowded wireless technology space. The Interconnect 1000 Series wireless Bridge/Access Point, based on IEEE 802.11 band IEEE 802.11g Technology, delivers bridging and access point features enabling cost effective access Ethernet-Bridging and access to traffic cabinets within a five mile span. Up to 18 Miles Point to Point to Point with proper elevation and antenna. Maximized for Video multi cast networks. Vlans are trunked for pass thru without stripping out tags. 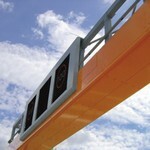 Optimized for Traffic cabinet application, as well as point to point bridging. Bridging and ap access can be simultaneous, if desired. IP68 approved housing is fit for ruggedized outdoor environments. In addition, supports IEEE 802.1x-compliant and RADIUS (Remote Authentication Dial-In User Services), the most up-to-date wireless security solution for applications in outdoor public places. 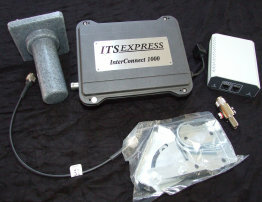 Also, the cabinet interconnect 1000 provides standard WDS (Wireless Distribution System) bridge functionality joining LAN segments that may be geographically separated (e.g. 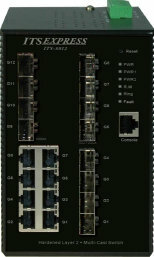 cabinet to cabinet connections or cabinet to tower connections ) Up to 6 WDS bridge links work in Bridge/AP mode allowing simultaneous bridging and AP access, or straight point to point bridging, thus enabling LAN segments to be flexibly connected to mirror any network topology which a traditional wired network can achieve. The Antenna Alignment Utility provides the at-a-glance way to easily assist the antenna deployment through the friendly Windows-based user interface. SWARCO is the leading global supplier of high quality, full color LED variable message signs (VMS) for traffic guidance and informtation purposes. Over the last twenty years, SWARCO has developed the most reliable, energy efficient, and optically advanced sign technology. SWARCO has over 50,000 signs on the road today and over 100 million LEDs in the field. These signs are deployed in multiple countries and continents world-wide, thriving in every weather extreme. The Precicion Optic LED VMS is ready to excel in any of your transportation needs from your highways to your cities, guiding vehicles and warning drivers, enhancing mobility and keeping you safe. The SFP transceiver is high performance, cost effective module supporting dual data-rate of1.25Gbps/1.0625 Gbps and from 10km to 120km transmission distance with SMF. The ITS Express SFP transceiver is high performance, cost effective module supporting dual data-rate of 1.25Gbps/1.0625Gbps and from 10km to 120km transmission distance with SMF. The transceiverconsists of two sections: The transmitter section incorporates a FP laser. And the receiver section consists of a PIN photodiode integrated with a trans-impedance preamplifier (TIA). All modules satisfy class I laser safety requirements. The optical output can be disabled by a TTL logic high-level input of Tx Disable. Tx Fault is provided to indicate that degradation of the laser. Loss of signal (LOS) output is provided to indicate the loss of an input optical signal of receiver. The standard serial ID information compatible with SFP MSA describes the transceiver’s capabilities, standard interfaces, manufacturer and other information. The host equipment can access this information via the 2-wire serial CMOS EEPROM protocol. The SFP transceivers are compatible with RoHS. Advanced cost effective ITS Hardened Layer two 24-port Managed Ethernet switch designed for harsh Multi-Cast environments. Versatile & affordable hardened Layer 2 switch that exceeds the competition class specfifction with rich features such IGMP V1,V2, V3 and real time critical monitoring.